for the undeveloped part of the island. At that time, this included most of the island so the streets in most areas of Manhattan today are laid out in a rectangular grid with avenues running north and south and streets running east and west. The number of the avenue increases as you go west (i.e. towards the Hudson) and the number of the street increases as you go north (uptown). Fifth Avenue is the dividing line between east and west and streets west of Fifth Avenue are called West and streets east of Fifth Avenue are called East. For example 42nd Street east of Fifth Avenue is East 42nd and west of Fifth Avenue, it is West 42nd. This simple system is disrupted by several avenues that have names rather than numbers (e.g.,) Lexington, Park, Madison, Central Park West, Columbus, Broadway. They are simply exceptions to the rule. In the area of Manhattan island below the grid system (e.g., downtown), the streets and avenues have names. It is best to take a map when exploring these areas. The other boroughs have a mixture of numbered streets and named streets. Once again, it is best to have a map or GPS. 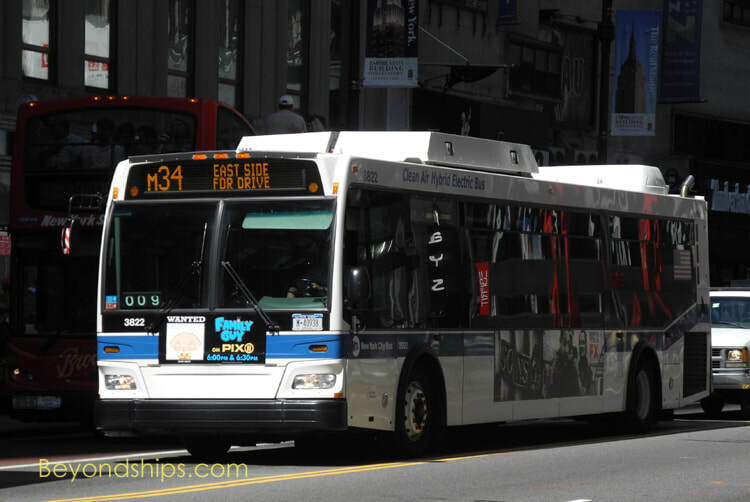 New York has a well-developed bus and subway system. There are signs along the various bus routes indicating the stops. 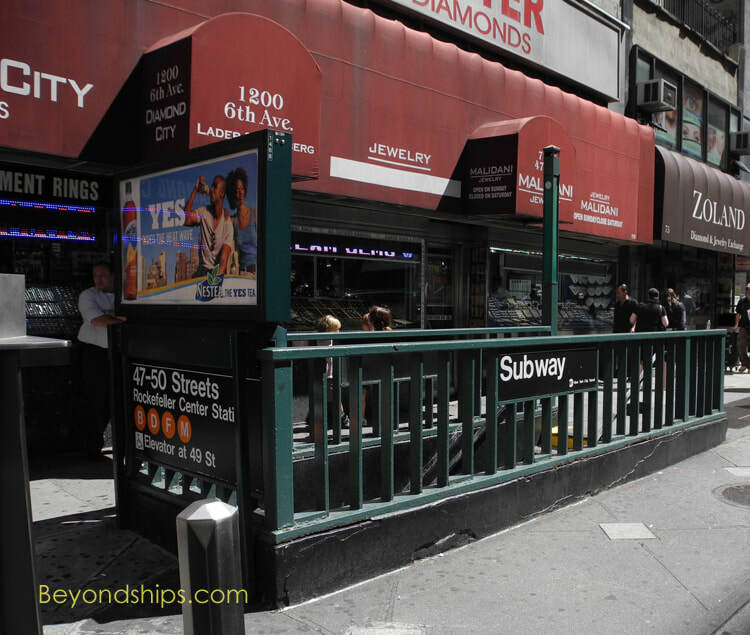 The subway can be confusing as most of the routes developed out of independent railroad systems. However, the City has developed a relatively easy to follow subway map. 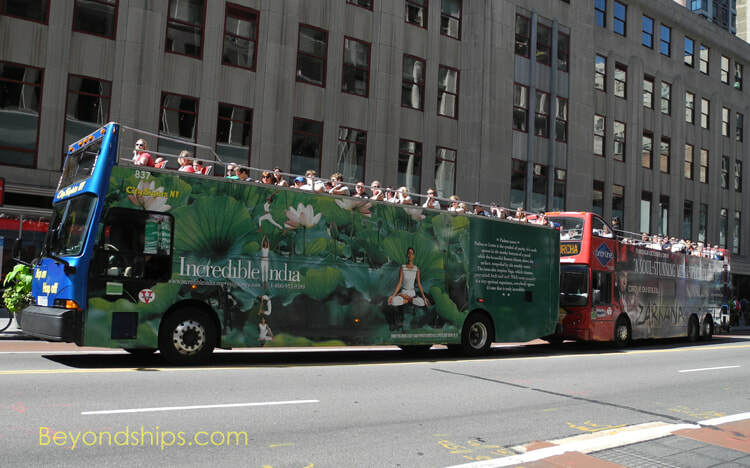 There are several hop-on/hop-off bus services operating in Manhattan. Representatives of some of these services can usually be found at Times Square and outside the Empire Sate Building. Taxis are yellow and are usually haled from curbside. One can also ask a doorman at the major hotels to call one in exchange for a gratuity. 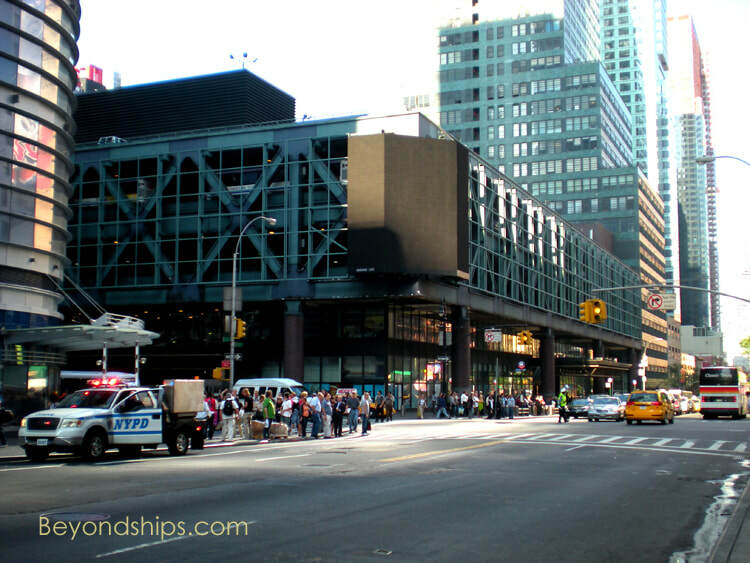 There are some taxi stands, e.g., in front of Grand Central Terminal and in front of Penn Station. Taxis are metered and the fares are regulated by the city. Unlike the taxi system in London, drivers are not tested on their knowledge of the city and so you may encounter situations where the driver does not know how to get to your destination. A popular alternative to the Yellow taxis is the Uber ride hailing service. The Uber app connects passengers and drivers and takes care of payment. Several more traditional car services have developed apps and adapted their services in response. 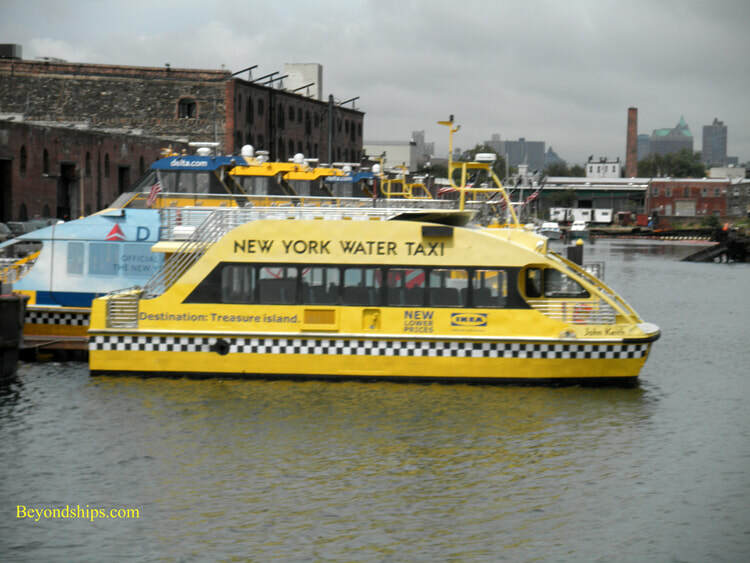 In recent years, New York has once again begun to take advantage of its waterways with commuter ferry services. On the East River, ferries run between a number of points in Brooklyn and Manhattan. 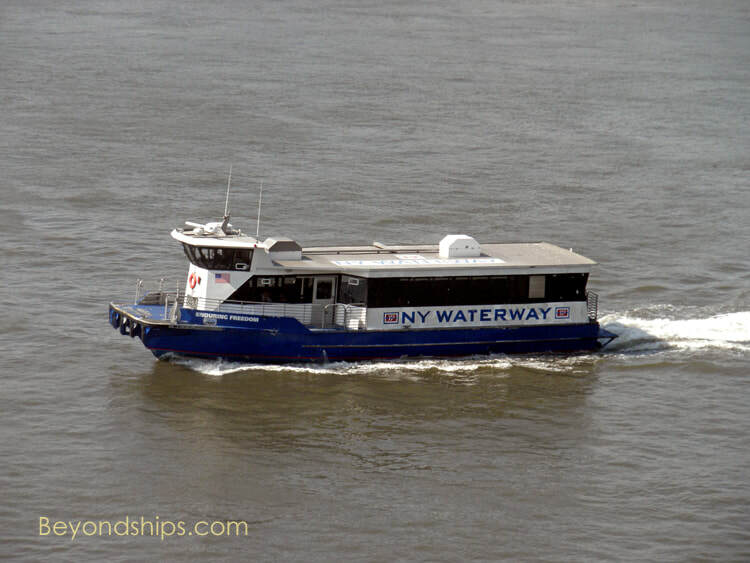 On the Hudson, ferries run to New Jersey and to various locations in Manhattan. These services are operated by private firms and charge a fee. The famous Staten Island ferry between lower Manhattan and Staten Island is operated by the government and is free. Above: New York has two railroad stations: Grand Central with commuter trains going to the northern New York and Connecticut suburbs; and Pennsylvania Station with commuter trains to New Jersey and Long Island as well as Amtrak intercity trains. 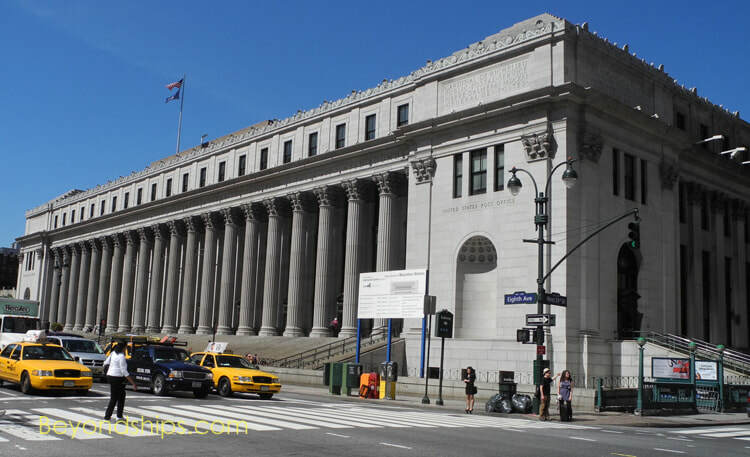 Pen Station is currently located below Madison Square Garden but plans call for it to move across the street to the former Post Office Building (above right). Below: The city's primary bus station is the Port Authority Terminal. It is used by commuter buses and intercity buses. 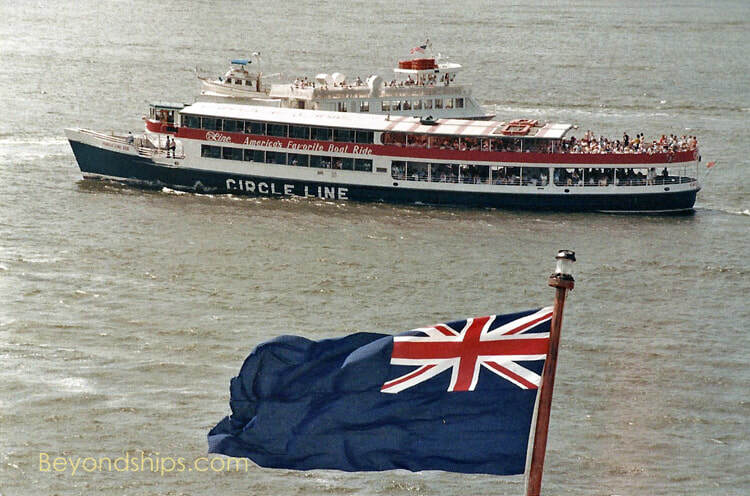 Above: The Circle Line offers sightseeing cruises around Manhattan.